In rural areas, the introduction of school buses changed the character of the communities they served and the lives of the children who rode to school. Students who had once walked to a local, often one-room, schoolhouse now rode a bus to a larger consolidated school where they were taught in separate grades. 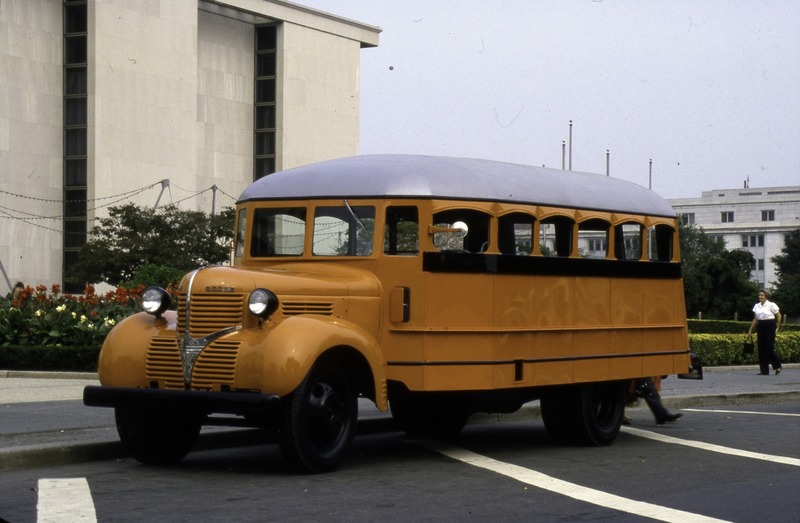 Progressive educators viewed buses as a step toward modernizing rural education. By 1932, there were 63,000 school buses on the road. In Martinsburg, Indiana, school administrators—like their colleagues in other rural communities—saw school buses as a way to give children access to better education, and to save money. Some parents objected; they liked the local schools and feared that consolidated schools would increase taxes. But in 1939, three small one-room schools closed, and their 75 students began to take buses to the Martinsburg School. This school bus served a small consolidated school in Martinsburg, in rural south-central Indiana. Safety was key to school bus design. This bus had an all-steel chassis and bright orange paint. The eye-catching color, called double-deep orange, was chosen for safety reasons. Yellow became the standard in 1939 and was gradually adopted nationwide. In rural areas in the 1930s, school buses meant the end of the one-room school. Progressive educators favored larger schools, arguing they would provide students a better, more standardized education. Some rural citizens feared consolidation would bring higher taxes and a loss of involvement in their children’s education. One midwestern farmer said his local school was “the center—educational, social, dramatic, political, and religious—of a pioneer community.” But declining rural populations and better roads spelled the end of one-room schools. In 1920 Indiana had 4,500 one-teacher schools; in 1945, just 616. In 1923 the new Martinsburg School was opened, replacing several local one-room schoolhouses. Over the next 20 years, as Jackson Township’s population decreased and school buses became more practicable, more schools were consolidated into the Martinsburg School. In 1940, when the township purchased this school bus, the last one-room schoolhouse in the township was closed. Farmer and part-time bus driver Russell Bishop started the day by milking the cows and warming up his school bus. After her breakfast, his daughter Mary Lou joined him on the bus. On cold mornings a neighbor brought Mary Lou a heated brick wrapped in newspaper, to warm her hands. The bus took an hour to reach the Martinsburg School, unless the harsh Indiana winter slowed the ride. Twelve classmates rode the 10 miles with Mary Lou and her dad. When students attended schools that were far enough away to require a bus ride, lunch at home was no longer possible. 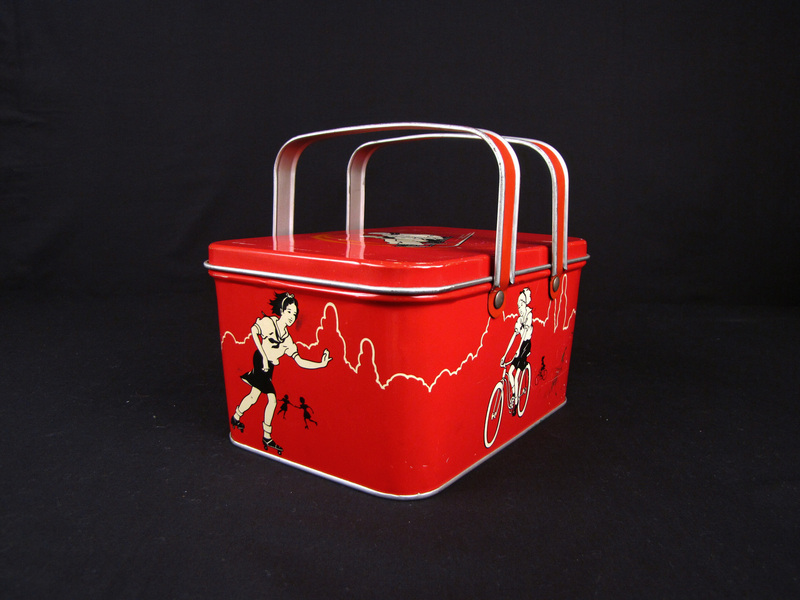 Children might have used lunch boxes such as this one, or simple tin pails from home, filled with homemade biscuits or egg sandwiches and sometimes cookies. Most kids had few belongings to entertain themselves with on the bus and at recess. Marbles and jump ropes were popular at the time and they could be played in groups or alone. Both were inexpensive, but highly prized by the children who owned them.